“seeing” from a point or view separate from the reasoning part of our mind. This could be described as an epiphany. Practiced seer’s live in this awareness in every moment. warrior must have the discipline to practice deal with their own mind without someone else providing the motivation with carrots or sticks. A warrior must exercise their own will at the command of their heart, not an outside authority figure. This often means going against the fearful opinions in our mind that tempt us with illusions of punishment and rewards. We must also have the discipline to follow our own heart even when tempted by another person’s opinion. This way of living requires disciplined practice. In my point of view, Jesus Christ was the greatest Warrior. He had the courage, discipline, and openness to Love unconditionally even as he was being rejected and physically persecuted during his days. Even when his body was in physical pain, the only emotions he created and expressed were of love and compassion. He did not use a reason in his mind to hate or judge. This is extraordinary impeccability. If he could love in his challenges, then we can learn to love unconditionally in our challenges. The work of the masculine with a female counterpart, who chooses this awakening to her path, Can provide a base of unconditional love and devotion (to her truth) which encourages the woman to her flowering and help her achieve dreams within the material and spiritual. The masculine can show her, through her direct experience, that sensuality, love and bliss are normal when liberated within her. The rise of the god-dess her ascension waiting to be claimed. The courage that makes for a good soldier also makes for a good Spiritual Warrior, but the intent becomes completely different. A soldier has courage to face a challenge that may bring physical harm. 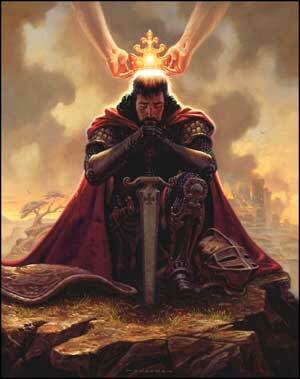 The Spiritual warrior has the courage to question challenge his or her own beliefs. By challenging our own beliefs we can dissolve the lies that cause our suffering. To challenge our own beliefs requires courage because it means the end of our illusion of safety. When other people challenge our own beliefs we are usually quick to defend. We defend them even if they cause us to suffer. As a Spiritual Warrior we learn not to defend what we believe, and then to challenge those very beliefs ourselves. In this way we are able to sort out the truth from illusions. 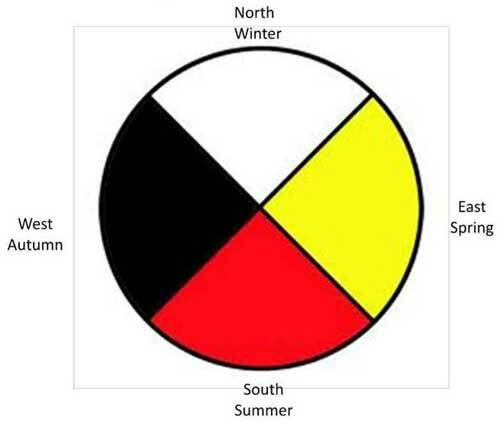 The Medicine Wheel of Protection is an ancient, daily practice of reconnecting and sealing with the Earth and the stars. It is highly effective at mitigating archontic intrusion by placing a sphere of sovereignty around us. The Wheel is best practiced as a morning ritual before beginning the day. The following procedure is given as a general outline and is meant to be personalized. Add your own elements to make the Wheel your own. Stand and determine which direction is East (the direction where the Sun rises). Medicine Wheels are always begun and entered from the East. Bring your hands together in prayer and honor the East. Aloud or silently to yourself, repeat the keynotes, “I honor the East, the Land of the Rising Sun. I seek wisdom.” Picture what lies to the East of you. Turn 90-degrees and face South. Repeat the keywords, “I honor the South, the Land of the Winds of Experience. I seek experience.” Repeat the visualization of what lies to the South of you. The South is the part of the wheel that represents our sense of learning through playfulness and sensations. Our quest for wisdom is furthered by our experiences. Turn 90-degrees and face West. Repeat the keywords, “I honor the West, the Land of the Setting Sun. I am transformed.” Repeat the visualization with what lies to the West of you. It is traditional for a person’s body to be placed facing West when burial rituals are enacted because the West is the direction of ancestors. Turn 90-degrees and face North. Repeat the keywords, “I honor the North, the Land of the Winds of Change. I am enlightened.” The North is regarded as the direction of Spirit, the place from which we are enlightened to wisdom. This step completes the first circuit of the sphere of the Medicine Wheel of Protection. Turn your head above, raise your arms to the sky, and honor the stars, the Galactic Center, and the heavens. Repeat “I honor Father Sky…” Honor what you feel comfortable with – God, Galactic Center, etc. Bow your head and bring your arms down to your sides. Honor Mother Earth/Gaia Sophia. Feel her energy move up from your feet and up through your body to your heart. Sophia’s energy resides in our hearts. Repeat “I honor Gaia Sophia…” Honor what you feel comfortable with – Mother Nature, Mary, etc. Bring your arms to heart center and open them in an expanse as if you were hugging the world. This is the step where we place ourselves into the sphere of the Medicine Wheel. We place ourselves in the Wheel, ready to play our part in the dream. The Medicine Wheel of Protection is now in place. *You can also send a line of energy from your third eye (like a laser line) across the grid to various places on Earth that are special to you. You may also find that animals (totems) that are special to you consistently appear in your mind’s eye in specific directions of the Wheel. The Elder in the Twenty-First Century. The paperback is priced at $19.98 and the ebook is 9.98. You can order from the publisher and it will be available at Amazon. The book can be used as a guidebook for men who want to move into their lives after fifty, their Second Journey, consciously embracing their lives as they age as a time of high generativity, creativity, blessing and abundance. It is also an introduction to the work of the Vibrant Emeritus Center and the Vibrant Emeritus Weekend. The next VE weekend is set for December 5 to 7. http://www.vibrantemeritus.com.